Today I have two polish from a brand new (to me) brand to show you. Both are purple flecked shimmers and both are great colours for fall. First up is Red, Red Wine. 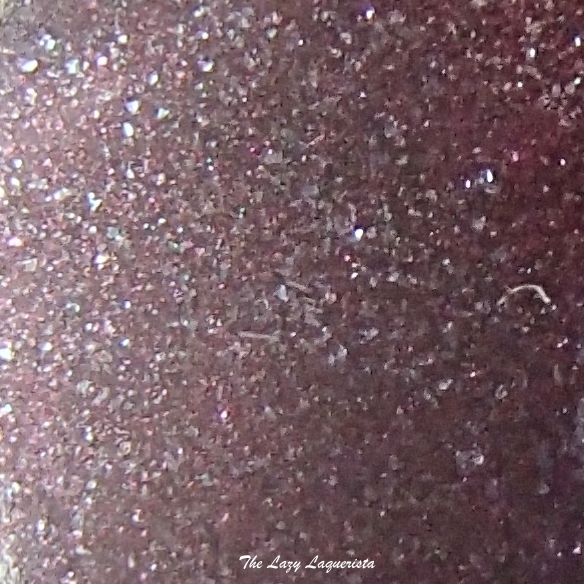 This polish features a dark vampy purple base with loads of silver flecked shimmer. I did experience a tiny bit of dragging with formula on this one but not so much that I wasn't able to fix it easily. The formula was also highly pigmented and reached opacity in two coats. Photos show two coats of Red, Red Wine with one coat of CND Super Shiney top coat in natural lighting. Next up is Descending Dusk. 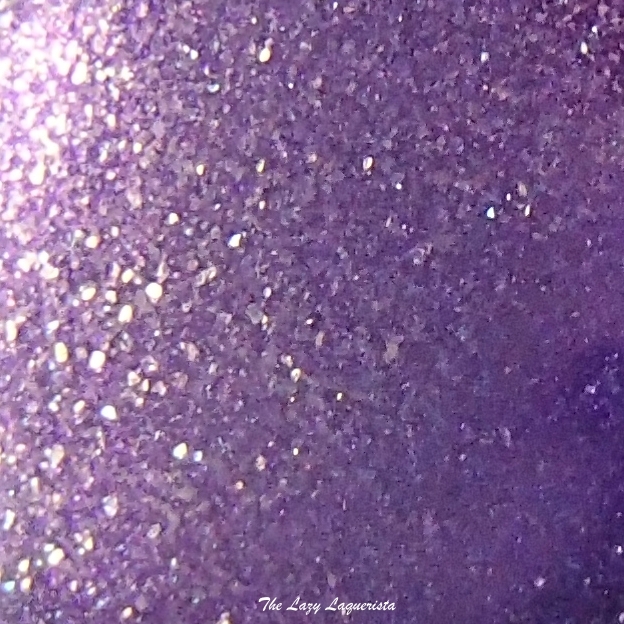 This polish features a rich cool toned purple base packed with purple and gold flecked shimmer. The formula was great on this one and it was also highly pigmented. Photos show two coats of Descending Dusk with one coat of CND Super Shiney top coat in natural lighting.